Cornelius' Blog: Are you up for a new challenge in the SUSE Studio team? 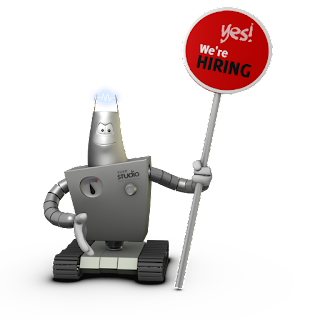 Are you up for a new challenge in the SUSE Studio team? Last time I blogged about open positions in the SUSE Studio team we were just preparing the first public alpha of SUSE Studio. We were excited about our application, but we didn't know what users would say. Now we are running SUSE Studio Online with more than 50.000 registered users. We have released an onsite version as part of the SUSE Appliance Toolkit, have won awards, and we get a lot of fantastic feedback. We have achieved a lot. To sustain this growth and success we are looking for some smart people to join our team. This could be you. We love to learn, we like challenges, and we are passionate about great user experience. We are a tightly knit team of a diverse set of people spanning the whole range of development, from user interface design over Rails and system programming to QA. We have people who just started their career and others who have decades of experience in the business. Technology, innovation, open source, team work, and meeting the goals of our users are important to us. If you are interested, look at the job descriptions. We are looking for user interface designers, web developers, Rails experts, and all-rounders with a hang for backend programming. You will learn, you will grow, you will be working on exciting software. Apply now. I am very much interested in applying for a suitable position. I am user of the system and have some great ideas on how we can make SUSE Studio, the best darn looking Web Appliance Management System.